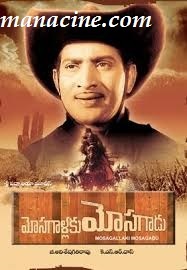 Mosagallaku Mosagadu was a 1971 first Indian, Telugu Cowboy film. 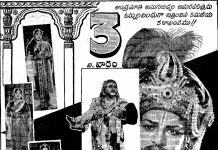 It was produced by G. Adiseshagiri Rao, directed by K. S. R. Das in the banner of Sri Padmalaya Films in 1971. 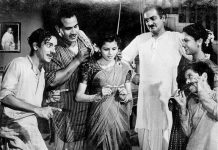 The cast of the film included : Superstar Krishna, Vijaya Nirmala (Heroine), Nagabhushanam, K. Satyanarayana, M. Prabhakar Reddy, Rao Gopalrao, Jyothi Lakshmi etc. The story was ripped off from Hollywood movies by Arudra without acknowledging any of the movies. The concept of the film was inspired from Hollywood movies such as The Good, the Bad and the Ugly, For a Few Dollars More, Mackenna’s Gold etc. Most of the film was shot in Rajasthan, while a song in it was shot in Himachal Pradesh. Amarvedu dynasty was attacked by Britishers at the time of Bobbili war in South India. Before the Britishers are about to attack the dynasty, a couple of friends Daanaala Dharmayya (Gummadi) and Pagadaala Subbayya hides the treasure in a cave of five doors, very far away. They lock the treasure with five keys and the two friends separate, so as to make the key unavailable to the Britishers. Pagadala Subbayya escapes to Gadwal and Daanala Dharmayya escapes to the court of kurnool. Krishna Prasad, who fights for equality of the poor with rich, against the new government, finds a highway robber Nakkajittula Naaganna (Naga bhushanam) captured by a couple of men. The government announces that one who captures Nakkajittula Naaganna, will be awarded with 1000 varahas (gold coins). With a plan to earn money and help the poor people, Krishna Prasad secures him with ropes and submits him at the court. Nakkajittula Naaganna is made to sit on horse and he is tied to a two-pole gibbet at the court. Krishna Prasad, hiding behind a tree little far away, shoots the ropes of the gibbet, making Nakkajittula Naaganna to escape along with him. They share the loot later. With the loot obtained from the government, Krishna helps the poor. One blind man, a past servant of Amervedu court, who knows where the keys are, accidentally utters about the treasure at highway liquor dhaba. By torturing the blind man, Sathyam (Kaikala Satyanarayana (one of the villains) knows the clue of Daanala Dharmayya in Kurnool. Satyanarayana), with his men goes to torture Daanaala Dharmayya, but kills him in haste. Radha (Vijaya Nirmala), on coming home with a pot of water from a pool nearby, finds her father Daanaala Dharmayya at the state of dying. Daanaala Dharmayya, who is unaware of the murderers, is about tell some thing, utters his friend’s name Pagadaala Subbayya and dies. Radha thinks that her father was killed by Pagadaala Subbayya. In fact Pagadaala Subbayya, while dying because of old age, reveals the place of treasure to his son. 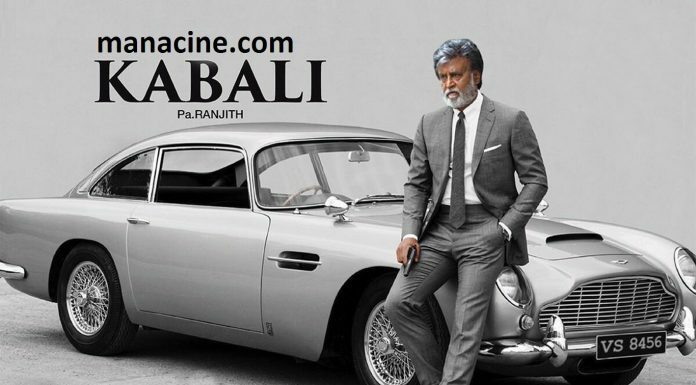 He also reveals that he had given the keys to Komarayya, a retired constable in Kurnool. Krishna Prasad, staying away from home, keeps on earning money by submitting Nakkajittula Naaganna to the court, and then releasing him by tricks for sharing the loot. One day Bijili (Jyothi Lakshmi), a nasty cowgirl meets Krishna and likes him. Radha when being chased by few men, Krishna Prasad saves her and promises to make her to take revenge on the killers. He falls in love with her and trains her in gun shooting, making her a cowgirl. Radha swears to take revenge on those who killed her father. Once again he saves Radha from the attack of Bijili, and knows that attack was happened to know a clue of treasure. Bijili loves Krishna Prasad and tries to get rid of Radha. One day, Nakkajittuala Naaganna tries to steal Krishna Prasad’s loot with greed. In anger, Krishna Prasad secures the hands of Nakkajittuala Naaganna and leaves him alone in the desert. He comes out of the desert, with grudge on Krishna Prasad and joins Bijili. When Krishna Prasad is about to save an innocent guy hanging to death in an attempt to earn wealth, Nakkajittuala Naaganna and Bijili captures him alive, tortures him in the desert. In the desert, when Krishna Prasad is about to die of thirst, Nakkajittuala Naaganna and Biliji sees a cart of corpses pulled by a camel. Among the corpses, a son of Pagadala Subbayya is found, at the brink of death. When Nakkajittuala Naaganna and Bijili goes to bring pot of water hung to their camels, son of Pagadaala Subbayya reveals the secret of the treasure to Krishna Prasad. 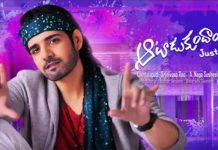 With a greed to earn the treasure, Nakkajittuala Naaganna renames himself as Pagadaala Subbayya in haste, and takes Krishna Prasad to a nearby highway inn and medicates him with the help of an ayurvedic doctor. Few days later Krishna Prasad escapes with Radha, from the scene. One day Nakkajittuala Naaganna who renamed himself as Pagadaala Subbayya, is captured by the Satyanarayana’s gang. Krishna Prasad saves Nakkajittuala Naaganna and who becomes pal again. Radha reveals that her father Daanaala Dharmayya used to work at constable Komarayya. Krishna memorizes that, when he was a child, the keys were given to his father constable Komarayya by his friend Daanaala Dharmayya. 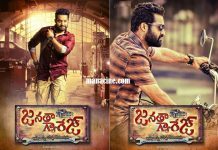 Rangayya in a forest, fourth culprit Chittoor Chengayya in a gambling center, and fifth culprit Chennapatnam Kannayyagari Chinnayya when torturing blind man for treasure secret. At the climax, Krishna Prasad, Radha, and Nakkajittuala Naaganna goes to the cave of treasure. The fight goes between three parties, that is between two parties of villains and Krishna Prasad. All the villains are killed and Krishna Prasad achieves the five gunny sacks of treasure in the cave. The movie ends with Krishna Prasad and Radha distributing the treasure.